What makes a person beautiful? Is it their clothes, or their style? Is it their personality or their smile? What makes YOU beautiful? You tell us! The Collabor-eight is partnering with Elyse Johnson over at What’s Up Elly J, an inspiring blog that showcases ambitious young people doing great things. Let us know what makes you beautiful inside and out, and you can win a Collaboreight beauty bag featuring products from your favorite brands like CoverGirl, Benefit, and Goody! Read on for all the details and to learn how to enter yourself or someone you know. Everyone, everywhere can enter! Just let us know what you think beauty truly is! Leave us a comment here or on What’s Up Elly J’s contest page telling us what makes you — or an amazing woman you know! — beautiful inside and out for a chance to earn a serious beauty reward. This contest is open starting today, Wednesday October 3 through Wednesday October 17. Make sure to tell us your best story! Elyse will pick the best response and that person will receive a free beauty goody bag filled with enough products and treats to share with other beauties. The winner’s response will also be featured on What’s Up Elly J! You may also email submissions to Elysenic@aol.com. Let the world know what beauty truly is! I know what makes me beautiful: everything! Just kidding, though, I don’t think I could write something like this without sounding self-adsorbed (in my opinion). I have little things I like about myself, like how I keep secrets and how I sometimes manage to create a great outfit despite being a “bigger” girl, but I’d rather much talk about a woman in my life who I find absolutely beautiful – inside and out. My sister is beyond a doubt the most charismatic, interesting, and selfless person I have had the honor of knowing throughout my life (though, it wasn’t like there was much of a choice…you can’t get rid of family, lol!). She’s a mother of three and always devotes her life to helping those around her in the best way she can – while looking amazing in her Steven Madden heels too! I honestly don’t know how she does it, but she gets everything done in the nick of time and still has the time to polish her nails in a bright orange color (her favorite color for fall). Throughout her life, she has faced many hardships (one of which was getting pregnant at a young age) but she always managed to keep her head up high and do everything she could to her best ability and that’s what I admire most about her. I could honestly go on and on about the little things that make her a beautiful person. She’s the best person I know. I love using makeup to play up my best features. True beauty is knowing the best parts of yourself and sharing them with others. Congratulations to Lisa, our contest winner! Elyse has selected your response to appear on What’s Up Elly J and we’ll be sending you your beauty bag soon. Thanks to everyone who entered on both of our sites! 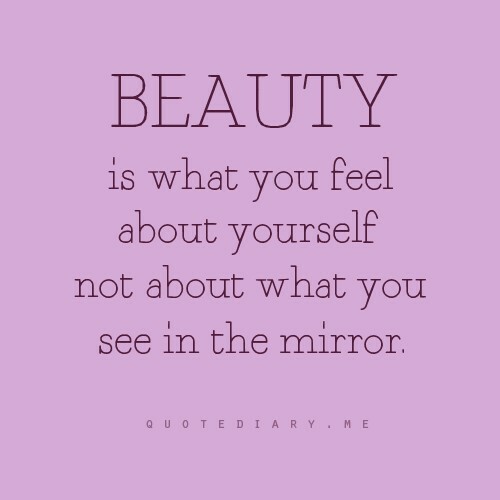 Please continue inspiring others with your true beauty, and keep an eye out for more contests and giveaways.